Client: Japan Railway East Company; Mitsui Fudosan Co. Ltd.; Kajima Yaesu Kaihatsu, Sumitomo Mitsui Trust Bank, Ltd. 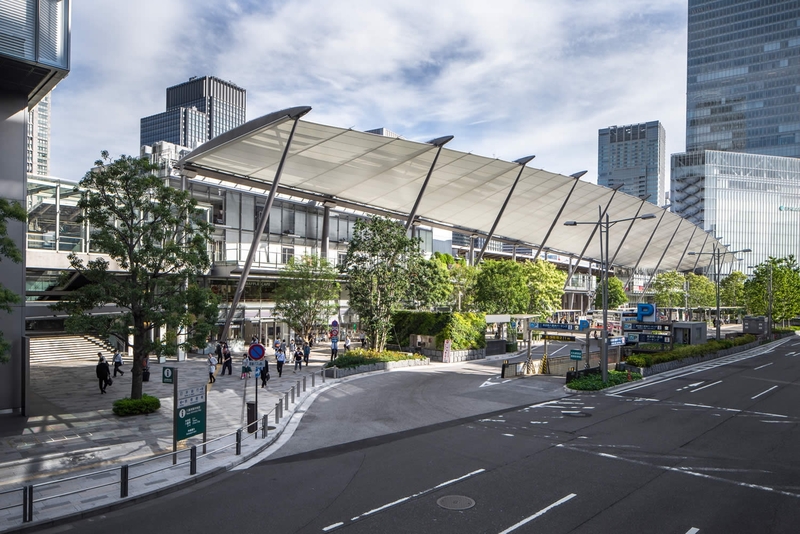 The canopy, which stands as the Central Piece to the Tokyo Station Yaesu Development, provides a new image for Tokyo Station. This symbol is the first and last impression of the city. While standing in contrast to the old station, it also defines and distinguishes two different districts. It needed to be durable and simple. The canopy’s design is truly all those elements: It is a straight line between two shifted towers. The 234-meter long canopy was conceived as a large flat textile panel fixed in a straight line at the track edge and supported on steel frames of varying heights and angles spaced at 18-meter intervals. “It creates a whole new façade while still being economical,” one juror said. “It is a terrific accomplishment to create a space as unified as this,” said another.